In response to the recent attention towards ‘Anime parents syndrome‘ after the mysterious death of Tsukumi’s mother in Kuragehime, I decided to provide what medical knowledge I gathered concerning this illness that, for years, been killing off our beloved anime protagonists’ parents. Please note that this is a very serious article. If you have any additional information regarding this matter, do not hesitate to share. 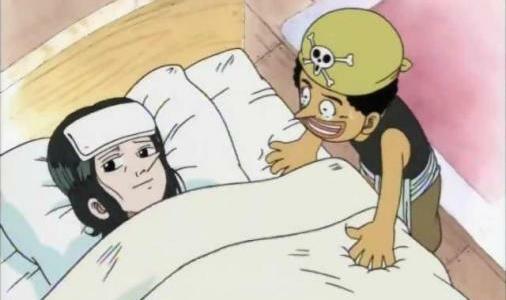 For years, numerous anime parents have suffered a slow death inflicted by mysterious illness. Their death caused immeasurable negative impact to the world of anime and also to the well-being of remaining anime characters. To date, the true nature of this disease remains illusive and no curative treatment is available. 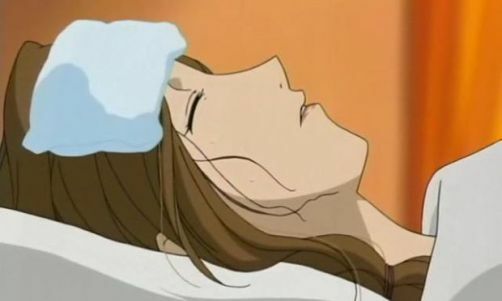 Recently, in an attempt to create universal understanding, the author have named this illness ‘Anime parents syndrome (APS)‘ and have briefly mentioned this disease in the common health problem article. Anime parents syndrome (APS) is the chronic idiopathic and usually fatal illness defined by prolonged generalized fatigue and wasting of anime character who is the parent of the anime’s main character. APS is apparently one of the most common cause of death among anime characters next only to trauma/accident. Its prevalence is highest in female of reproductive age. All of whom already have children. Male characters are rarely affected. APS shows ethnic predominance among Asian population. There have been sporadic cases of APS inflicting more than one generation of characters which raises the possibility of underlying genetic association. The true cause of APS is unknown. Nevertheless, since APS is the illness of anime parents, there are some speculation regarding the association of pregnancy and this disease. Genetic cause remains a possibility but no solid evidence is yet to be found. Although fatigue and physical wasting are the staple of APS manifestation, patient with APS may present with extremely wide range of signs and symptoms which are mostly non-specific. The most common manifestations are listed below. No diagnostic criteria has been set up. Diagnosis depends heavily on the doctor’s judgment and exclusion of other treatable disease must be made before diagnosis of APS. The differential diagnosis includes other systemic diseases that may manifest with similar non-specific signs and symptoms which includes chronic infectious disease such as human immunodeficiency virus(HIV) infection, Tuberculosis and other atypical bacterial or protozoan infections; malignancy common in young adult to adult population such as leukemia or lymphoma; autoimmune disorder such as systemic lupus erythematosus (SLE). No diagnostic test specific for APS is available. The investigation mainly aims for excluding other treatable diseases which may mimic the clinical picture of APS. Currently, no definite medical or surgical treatment proves to be able to slow or stop the progression of APS. The general management is mostly supportive and symptomatic. Oxygen supplement should be provided if the patient is dyspnic or develops oxygen desaturation. Blood transfusion is indicated for patient suffering from severe anemia or having anemic symptoms. Adequate pain control is advised. There are some reports suggesting that psychological support from the patient’s close relatives provide temporary improvement of symptoms. Nevertheless, a visit from a long loss love or children of the patient may lead to sudden deterioration of symptom resulting in extremely swift death. Since the etiology of APS is still unknown, no effective vaccination or secondary prevention is available. The only way to avoid this disease is to refrain from having any children. This method is highly recommended in high risk population. Take home message: If you are a woman and your children are the main characters of the anime, you will die soon or you are already dead and this is all flashback scene. Author’s note: the content of this article can be altered if new information regarding APS emerges. This entry was posted in Articles, Talks and tagged anime parents syndrome, anime sickness, health problems in anime, medical problems in anime. Bookmark the permalink. Nevertheless, a visit from a long loss love or children of the patient may lead to sudden deterioration of symptom resulting in extremely swift death. The only way to avoid this disease is to refrain from having any children. Somehow, anime parents also seem to be accident-prone. 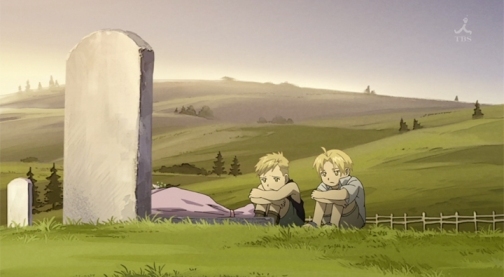 Or maybe I’m just thinking about Key protagonists as of late since one parent got hit by a car (but survived) while Tomoya’s mom in Clannad just kinda went and nary a mention was ever made of her. I think the cure might be to just not have children or send them away for adoption. Make sure you send them so far away that they won’t be able to see you for over 50 years, so that when you get sick when they finally do find you, you’ll already be old and won’t really care. I don’t know about this disease. I think it’s all a bunch of hogwash. I mean, here, I’ll make a deal with you. My wife, Nagisa, happens to be pregnant right now. If she becomes sickly and dies for no apparent reason just because of a child then maybe I’ll believe this junk, but I think we all know that that isn’t going to happen. Well the joke was that she did indeed die from this exact thing. The cure is to make sure your children don’t have a teary, dramatic life. Hope that they do nothing but go to school or work at a bakery without much difficulty, distress or fighting. Their stress is converted and sent through the air like an air-borne virus, eventually looking for you – the creator – which then results in the APS. You know what’s a good cure for this? Alchemy. Zombification is another viable treatment. What could possibly go wrong? This is a good idea. Let them die of APS and then resurrect them using alchemy! Excellent medical explanation as always. An update on the etiology has just been proposed. Recent research shows a significant correlation between the condition and exposure to the sudden unexplained white beam of light covering the female external genitalias when shown during their late teens/early twenties, resulting in a slow type of radiation sickness with above mentioned symptoms. Symptoms are usually sub-clinical until old age, however the condition can be accelerated by the high levels of estrogen during pregnancy. Organ failure usually occurs 15-18 years post-partum, but a fulminant case have been described with of a young girl living with her parents in a bakery shop. The credibility of the case is however questionable because of the patient being severely skizofrenic with several optical and auditory hallucinations of a small starfish-fixated girl, as well as having and autist-like obsession with a certain type of bun. There are even reports suggesting this particular girl was seen alive and well some days after she allegedly passed away. However not only is the mother affected by this strange ray of light. During pregnancy prenatal post-exposure radiation damage to the featus can be seen as well resulting in the well known Anime Girl Syndrome with girls having atypical cranial growth with hyperthrophic eyes, a small and narrow mouth with severe atrophy of the lips and agenesia of the nose. Often an abnormally hypertrophia of the bosom follows during puberty as explained in one of your previous articles. Usually tendencies of a psycological dependent or avoidant personality disorder follows including a situation-specific motorical development disorder making them drop coffee-mugs and plates when working in a cafe or fall on random young males. The hunt for a cure for APS continues, and rest assured that a Nobel Price in medicine awaits the fortunate one who finds a cure for this cruel and deadly condition. Anime girl syndrome sounds good but aside from the physical deformity you mentioned, other symptoms are still too diverse to form specific disease entity. At first I thought you were referring to parents that watch anime. Really interesting article. That’s some serious anime research. It’s SO TRUE! I believe being a single parent also highly raises the chances of APS? Is this correct in your opinion? When I think over how many orphan characters there are in my series…it’s a SURPRISING amount. I don’t have exact numbers but I’m having a tough time coming up with a series without an orphan. Interesting theory, but I beg to differ. Single parents cannot afford to waste away slowly of anemia since they are the sole income bringers of their household, so they are more likely to suffer from FAFS. (Freak Accident Fatality Syndrome) Please look at police documents detailing the death of a single mother in a car accident, whose pure hearted daughter then went on to live with three unmarried males in the middle of the woods. LOL, That’s good theory and there should really be some specific term for Parent’s sudden death even though that may be less common compared to slow, wasting death.